With people having access to the streaming media players, the DVD is not in its heyday. Streaming media is killing its predecessors. But physical media still has a number of supporters. And for DVD collection fans, movie buffs and TV fans, it’s always a better way of entertainment to watch DVD on flat screen TV while sitting on couch at home at ease. How to watch DVD on flat screen TV? The one is use flat screen TV with built in DVD player, the other is rip DVD and transfer ripped DVD movies to flat screen TV via USB. We’ll introduce the top 3 flat screen TV with built-in DVD player for you at first. This 120Hz 24″ LED HDTV has a number of features that make it a great choice of flat screen TV DVD combo. The sleek, side-loading DVD/TV combination from SuperSonic with 1920 x 1080p resolution LED wide screen offers a great TV viewing. The addition of HDMI and USB input allow you to connect any compatible media device and sources. Additionally, the build-in PC input provides the option of taking it as a computer monitor. There is additional support for SD card to play your favorite music or view photos on it. RCA 22” 1080 LED HDTV is another good option to recommend. 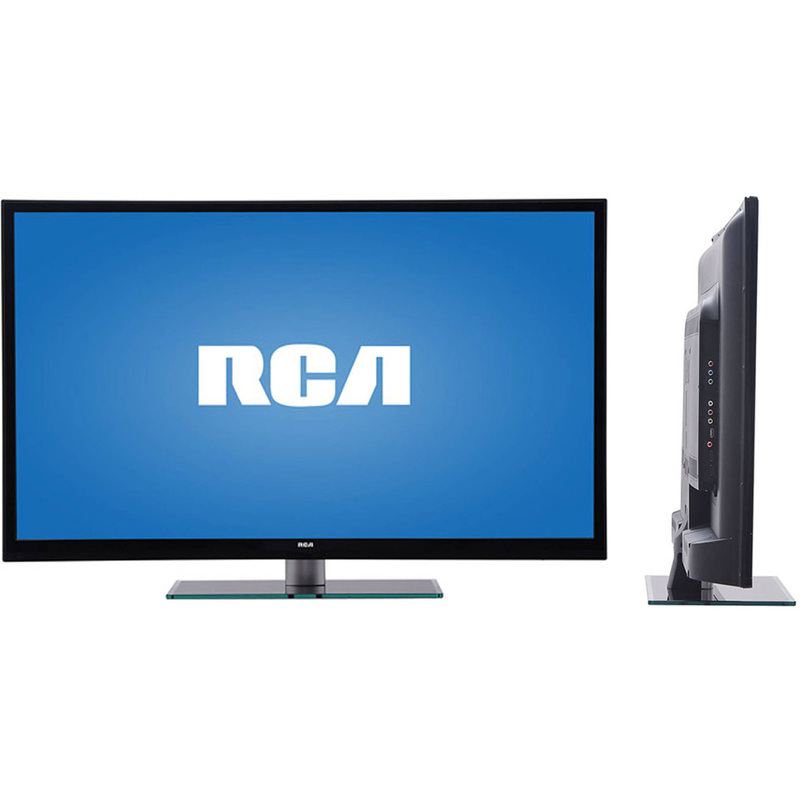 It’s from RCA, a brand has supplied countless televisions for Americans over 90 years. The 24-inch display screen offers full 1080p HD resolution with crisp and no ghosting images in a reasonable price. The TV DVD combo integrates USB and HDMI ports for more streaming options. 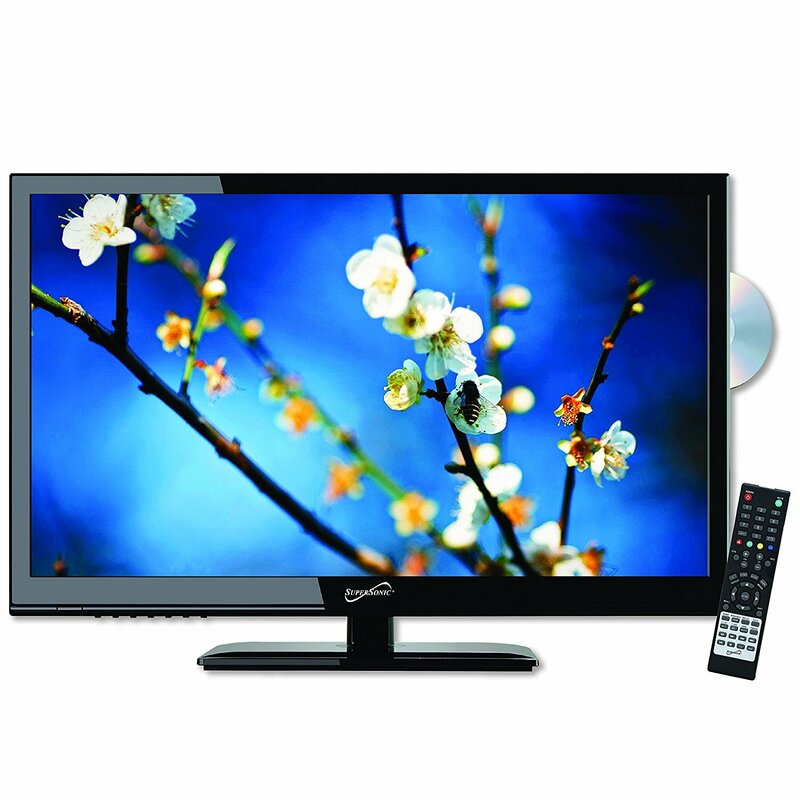 The flat screen flat screen TV with built in DVD player from Axess have two screen size: 24-inch and 32-inch. The Axess provides crisp image with 1920 x 1080-pixel resolution and 16:9 ratio. It includes a built-in HDMI port and USB port to connect to external audio devices and sources. Moreover, Axess also boasts for its portability with wide charging compatibility. Axess can be charged on the go with a 12V car cord adapter. Just keep your entertainment on the go. And its AC3 decoder provides theater-like quality Dolby sound for you. There is SD cards slots for your convenience to view images and pictures. Above are the top 3 TVs with Built-in DVD player to play DVD directly. For people who don’t own these TVs or an independant DVD player, here’s another way for you. 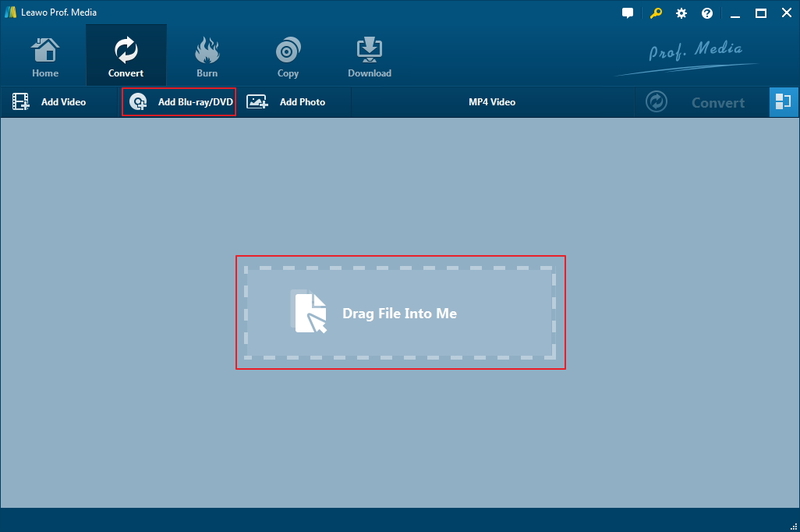 You can choose to rip the DVD movie and convert it to a new format compatible with your TV. As most flat TVs nowadays have USB port, as long as you have the movie in the right format, you’ll be able to play it on your flat TV. Before we start ripping DVD, we should probably clear the air first. There are two major DVD types, namely PAL DVD and NTSC DVD. PAL DVD is commonly used in Europe and parts of Asia and NTSC is widely used in the U.S. and Canada. The two formats differ in frame rate and resolution. DVD players sold in PAL countries supports two formats discs while most NTSC players do not support PAL format, which means you can not play PAL DVD with NTSC players. 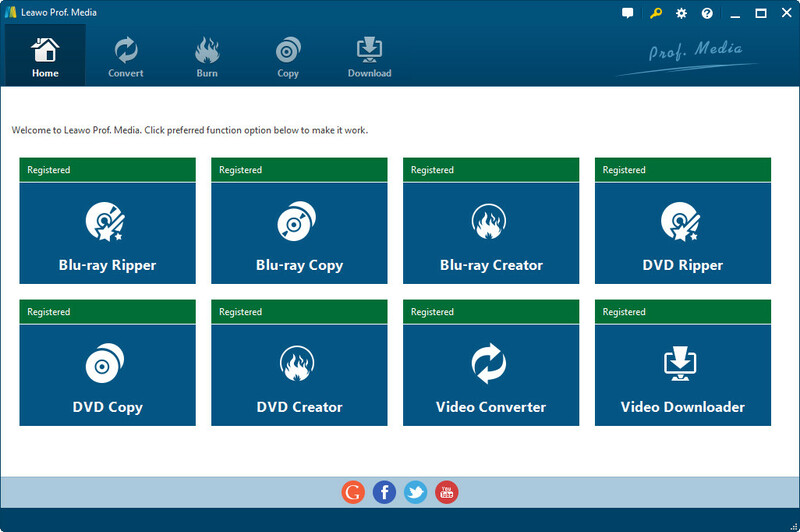 Leawo DVD ripper is a DVD converting program that can remove region and encryption limitation of a PAL DVD and NTSC DVD when converting DVD to common video formats for portable media player. This DVD ripper has both Windows and Mac versions. The following is the step by step instructions for ripping DVD movie using Leawo DVD Ripper. Step 1: Go download and install the program, it’s integrated into a software package named Prof.Media. Open it and click on DVD Ripper tag to launch the DVD Ripper module. Step 2: On the interface, There’s an Add Blu-ray/DVD button on the submenu bar. Click it to import DVD content to the program. Or you can directly drag the DVD content to the interface. Step 3: After loading DVD content to the program, choose one ripping mode. 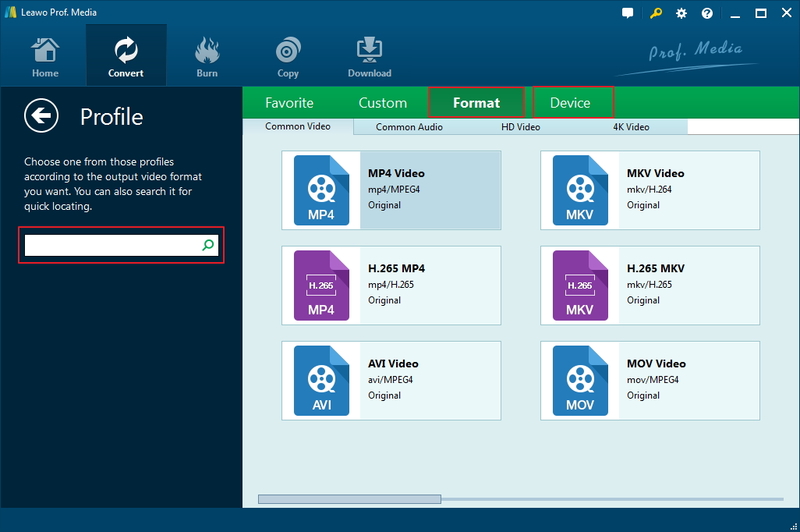 If you want to convert all video clips in the DVD, choose Full Movie. If you only need the movie itself and other parts are redundant to you, choose Main Movie and choose the movie from down below. The Custom Mode would allow you to choose whichever parts you’d like to be converted. Step 4: To set the format of the output file, click the button on the left side of the green Convert button. A drop-down menu would come up with 3 options on it. Click Change in the middle to open the Profile panel. 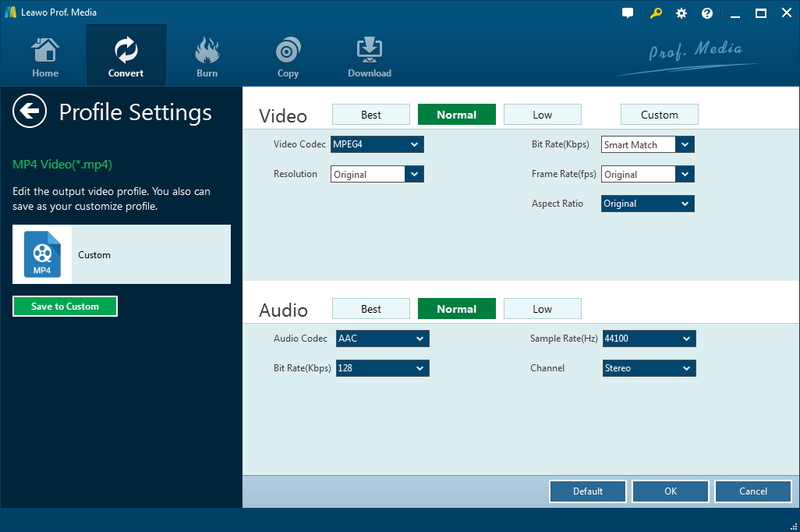 Choose the right format on the panel, since MP4 is one of the most universal video format, you can choose MP4 to make sure that the output video can be played on your flat TV. Step 5: You can also adjust the parameters of the chosen format. There’s an Edit button on the aforesaid drop-down menu. Click on it to open the Profile Settings panel where you can adjust video and audio parameters of the chosen format. Step 6: Go back to the main interface, click the green Convert button and a sidebar would come up from the right side of the interface. Set the output directory for the output video on the sidebar and click the Convert button below to start converting DVD to video. When it finishes converting, you can transfer the converted video to a flash drive. Basically all TVs that came out in recent years have USB port and are able to play the videos and audios on other devices that are connected to the TV through USB. So all you need to do is plug the flash drive in your TV and you’ll be able to enjoy the movie on your flag TV.